This special election was not supposed to happen – at least not this year. Newark Mayor Cory Booker had been on a different path, with speculations rising over a possible challenge to Christie for the governorship and then an early (and much-criticized bid) to unseat fellow Democrat Senator Frank Lautenberg (D-NJ) in 2014. But all of that changed when Senator Frank Lautenberg passed away on June 3, 2013, leaving behind a vacant Senate seat. Christie called for a special election, and a race between Booker and former Bogota, New Jersey Mayor Steve Lonegan ensued. The special Senate race in New Jersey became major national news as both candidates stood behind their stark ideological differences and as Booker’s large lead – once thought inevitable – took a surprise turn and began to narrow in the final weeks, making the race more of a contest than anyone had expected. Polls widely varied throughout the shortened campaign, with who exactly would turn out on the specially set date extremely difficult to predict. Booker ultimately won by 10 points – suggesting that the race tightened up as time went on, but also reinforcing that uncertainties that are always part of special elections. 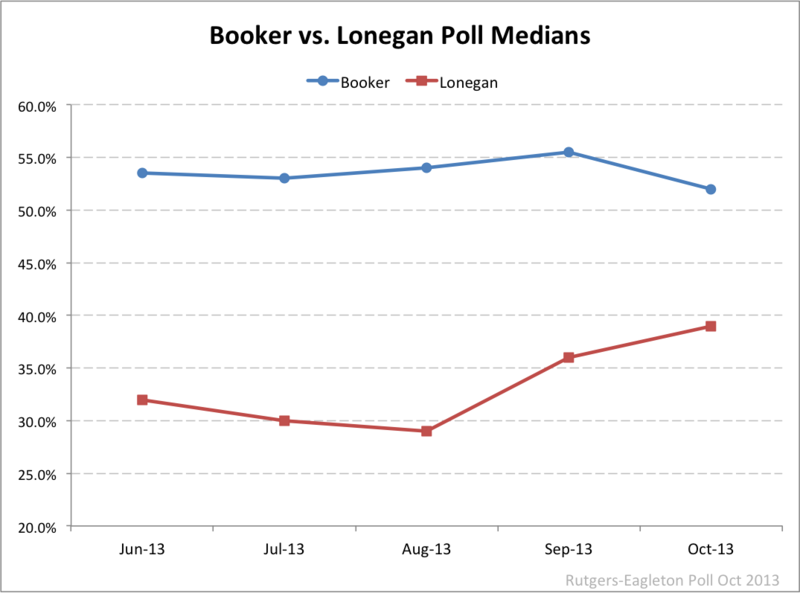 The Rutgers-Eagleton Poll recapped the twists and turns of the campaign for the London School of Economics and Political Science’s American Politics and Policy blog.